Discussion in 'Price Drops, Must-Have Freebies, and Deals' started by Pipipitchu, Jan 26, 2015. Step away from clear notions of good and evil, right and wrong. There are demons in the world, but whether they are ally or enemy depends on where you stand and what you do. In Tokyo 199X, a mysterious murder leads to the emergence of demons and an escalating global conflict with the rise of a charismatic rebel leader in possession of a demon army, and external forces that wish to crush such threats with extreme measures. You, the protagonist, have an unusual ability enabled by a computer program that lets you communicate with and recruit demons to your side. 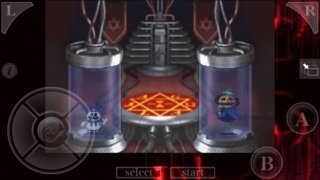 As you collect demons, the program will allow you to store, summon, and fuse them to create the right team to negotiate the ever-changing balance of powers, and fight for the kind of world you ultimately wish to live in. 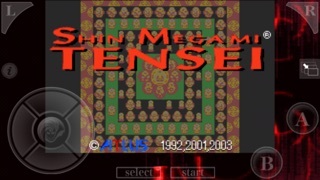 ATLUS’s revolutionary RPG series, Shin Megami Tensei, began on the Super Nintendo in 1992, and has gone on to sell millions of copies worldwide. 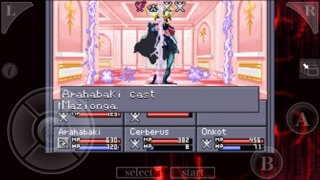 It has further given rise to other hit RPG titles, including Persona, Devil Summoner, and Devil Survivor. 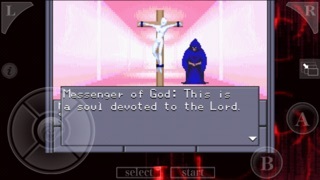 Previously available only in Japan, this, the very first Shin Megami Tensei game, is available in English for the first time ever. Key features: - 40-60 hours of consuming RPG adventure - Explore dungeons and recruit demons to your party - Collect and fuse demons to make ever stronger demons - Your decisions will determine the fate of the world This application is not supported by iOS 11. Please be aware of this before deciding on your purchase. Those who purchase this game will still be able to play/reinstall this application as long as the OS supports it. You wouldn't find much about it because it never got released in English until the iOS port. It's a very good game, but it certainly wears its age on its sleeve. It's tough as nails and there are points where you might have to grind or get very lucky to move on. It uses most of the nasty tricks from the dungeon-crawlers you listed, like dark areas and such. The overworld is an overhead map you move your character on, with all indoor areas presented as the familiar first-person view. Hmm, I'd recommend reading my review, I suppose. Click here for that. It's a really tough game and it gets mean-spirited pretty frequently, but the atmosphere and gameplay systems are unlike anything else on iOS. I wanted badly to like this game. I tried it on a friend phone, and I did not enjoy it at all. I cannot believe I waited so long to get this game... It's everything I like in a game all in one and I'm just getting started on it and I can see this one is going to be great.